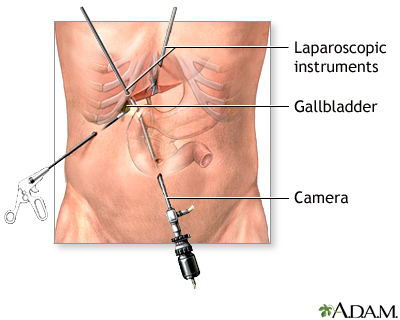 Laparoscopic gallbladder removal is surgery to remove the gallbladder using a medical device called a laparoscope. A CT scan of the upper abdomen showing a fist-sized cyst of the left kidney and gallstones (the kidney cyst was found by chance; there were no symptoms). A cholecystogram in a patient with gallstones. 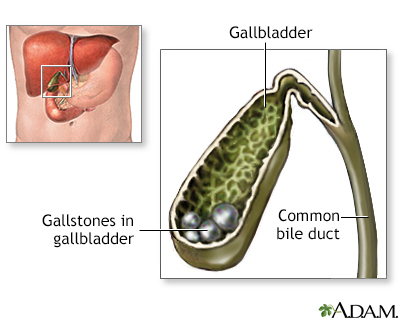 Normally a balance of bile salts, lecithin and cholesterol keep gallstones from forming. 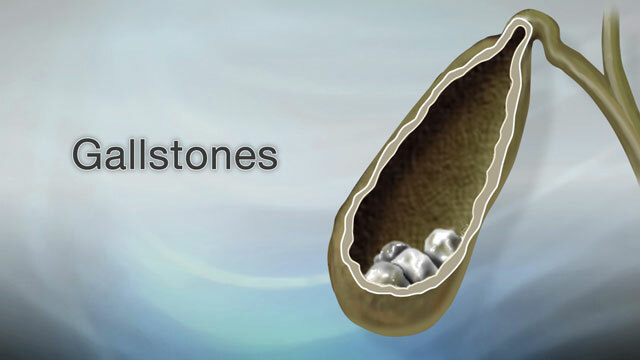 If there are abnormally high levels of bile salts or, more commonly, cholesterol, stones can form. 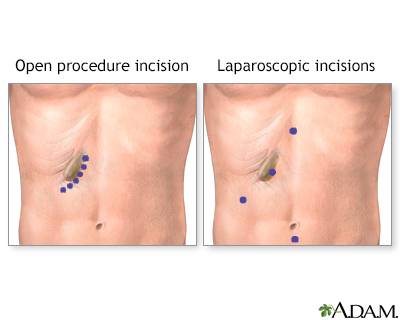 Symptoms usually occur when the stones block one of the biliary ducts or gallstones may be discovered upon routine x-ray or abdominal CT study. 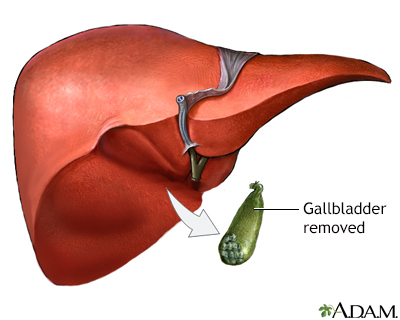 The gallbladder is a muscular sac located under the liver. It stores and concentrates the bile produced in the liver that is not immediately needed for digestion. 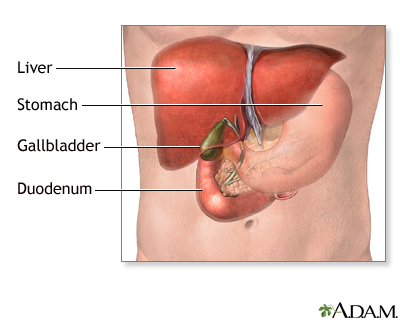 Bile is released from the gallbladder into the small intestine in response to food. 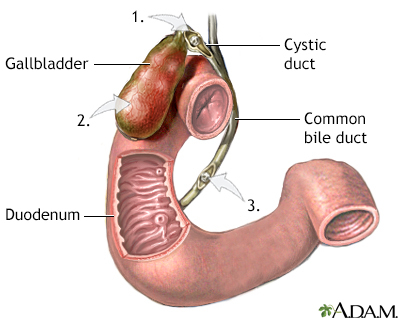 The pancreatic duct joins the common bile duct at the small intestine adding enzymes to aid in digestion.